From the book: Some members of the group who had just returned from holidays were lamenting that they had left for the summer with charged batteries, but that little by little, everything was ebbing away. They said they were losing attention and were giving up their exercises. About Michel Conge: Michel Conge was born in Pau, southwest France, in 1912. Early in his life he decided to devote himself to “seeking the real behind appearances”. His quest first led him to medicine. While working as a medical biologist at the Pasteur Institute in Paris he met the writer René Daumal, who introduced him to Jeanne de Salzmann. She soon invited him to work directly with G.I. Gurdjieff. 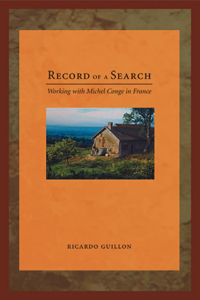 Beginning in 1949, and with the active encouragement of Gurdjieff and Mme de Salzmann, Conge gathered around himself and his wife, Gilles, a nucleus of men and women whose search he accompanied and led until his death in 1984. The book includes a talk by Conge given in Santiago in August 1966.